She starts by snipping her ends to create teeny-tiny hairs, then uses tweezers to place each individual hair with lash glue to secure each hair into place. Now, most people probably wouldn't bat an eye at the final results—they look pretty good, considering—but those who make brow contact before eye contact will know what's up. I mean, they probably won't assume that they're made of dead ends, but they know a makeshift job when they see one. Moral of the story? 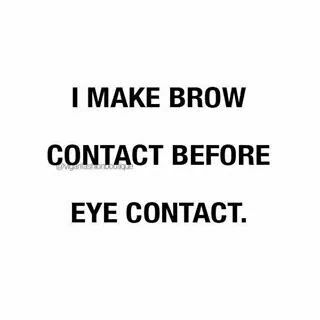 We recommend leaving brow hair extensions to the pros who will ensure that the hair is the right color, thickness, and texture for your arches. Oh yeah, and healthy hair too.